Sher-Dor Madrasah goes against the rules of islamic art – you can see tigers, goats and a face or two in the mosaic. Living beings are not supposed to be depicted on religious buildings. 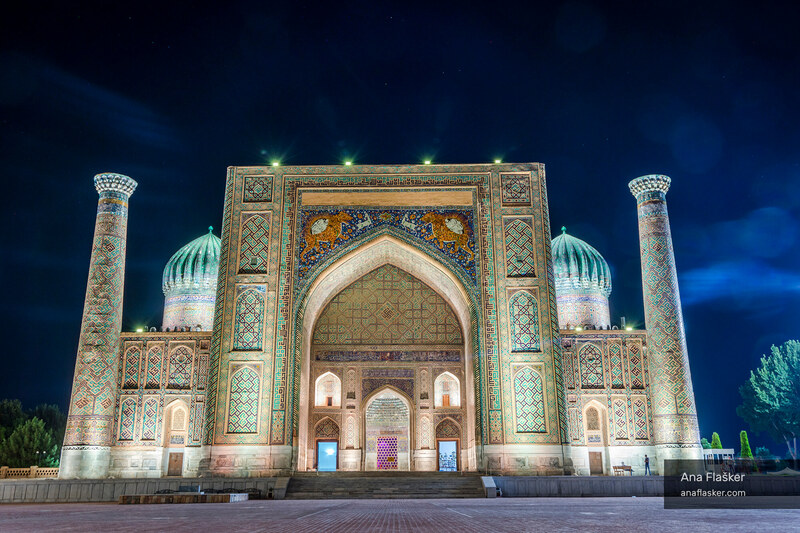 Registan is one of the most famous landmarks in Uzbekistan.